As a leader and manager of people you are at times confronted with tough choices and when the pressure rises and things start to get heated, I like to lean back and reflect at my younger years. During my late teens and all the way into my thirties I have been a student of martial arts. I have spent countless hours in Dojos all around the globe and I have enjoyed it to the point of obsessing over it. My base has been traditional Shotokan Karate but I loved straying off course and discovering other martial arts such as JuJitsu, Judo, Aikido, Aikibudo, Shinjitsu, Kempo, and more. I could go on about my glory days and the benefits of practicing these arts and the physical strengths you will gain if you are practicing between four and seven times a week. However this article is not the about physical strength but about mental strength. Karate requires practice, and it requires a lot of it. This is due to learning the proper coordination of movements to end in a single focused blow to your opponents body. You start out to learn your basic moves. At first, they will look and feel odd. You have to use your mind to force your body to follow the moves. Then, as you move up in the ranks, you learn to internalize these moves and as they become more natural to your body, you start to learn how to apply those moves in combination with other moves. Oi zuki, mae geri, gyaku zuki, or in tongue-in-cheek-English “Punch, kick, other-punch”, is a basic combination you learn early on. It will take about three to four training sessions to get used to this particular combination, and it will take you between five and ten years to master it. Really, I mean it, it will take that long to learn this basic combination to the point where you can apply it as a matter of reflex rather than -Think- about applying it. Here is where this will help you with your leadership development. As a leader you too have to learn basic moves in order to learn and grow in your field. You usually start at level one, which John Maxwell calls the positional leader. At this level you have become a manager of sorts over a team of people. At this point you will have to learn to Earn Trust. At first this will feel odd. You have to Think about every decision and every meeting you have with your team. Then, as you grow your trust in your team, you learn to internalize these lessons and as they become more natural to your mind, you start to learn how to get to level 2, which is the permission level. 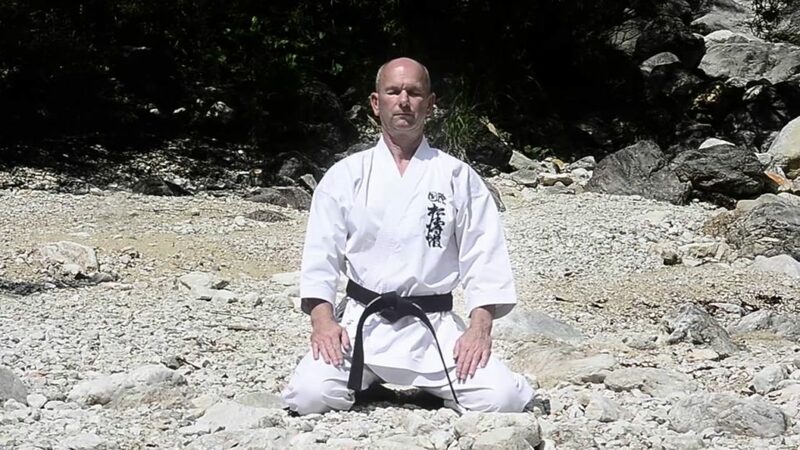 While this will seem strange at first you will eventually come to realize that performing a Kata with the right emphasis and the right mindset will help you improve your techniques, your strength, your form, and your timing. Once you have a fair grip on the basics ( kihon ) as a leader, you need to learn to combine a whole range of different qualities and environments in order to achieve the best results with and for your team. You have to study different approaches to solve certain situations to be able to pull them out when you have to. You have to be able to set and monitor goals, give feedback, encourage, request, teach, be empathetic or strong. You have to add as many tools to your repertoire as you can, and as a leader you have to be willing and able to use those tools. In most cases you will be able to select your management style. From tough love, to lending a shoulder to cry on. There have been plenty of studies which seem to show that there is no one-size-fits-all approaches to management. However in Leadership you have to have certain characteristics which will help you achieve level two with your team members. You have to have a mindset of servanthood. You grow yourself and your team. You are very good at observing and listening. At level two, the permission level, people will follow you because they want to. Your team trusts your decisions and they trust that you have their back. It is where you build relationships with your team, they like you and you like them. In return, they do work hard to keep their commitments to you and your company. Now at this level, results starting to appear. Kumite is the practical application of kihon and kata. It is, in essence, a formalized fight following stringent rules. These rules are in place to allow the student to learn and practice a combat situation without the fear of a broken nose or other bodily harm. 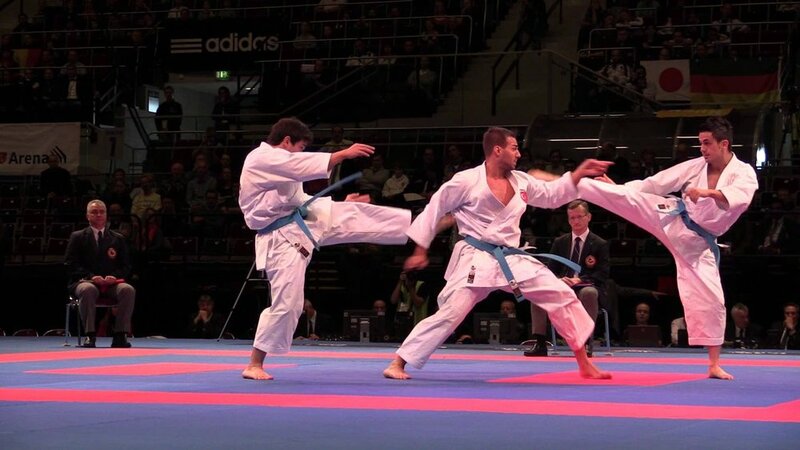 Kumite is what most people think of as a martial arts competition and is as close to combat as traditional Karate will get you. You will not only learn to apply your techniques but you will also learn to be relaxed, concentrated, anticipate when an attack will happen and improve your reflexes. One important lesson I have taken home from practicing kumite was to always move forward, never move back. The best benefit of kumite however is that of friendship. If you as a leader are at level three, the production level, you will lead by example. You work hard and you start to help the bottom line of the company. You start to build positive, reinforcing momentum and that momentum will help you break through the largest obstacles. If you can get yourself and your team to this level, you will soon learn to be relaxed in a stressful environment, concentrate and focus on finding the required solution for the business, and anticipate when an you will have to make a change to the team, the project, or the goals before they become a real issues. At this point you will always move forward. The only time you can lose is when you give up on something. You cannot be defeated for as long as you learn and grow and try again. And that folks is true in all parts of life. Karate, which stands for empty-hand, the karate-do, or the way of karate is given great emphasis. It is where the bushido, or the way of the warrior, makes its mark on Karate and lets us reflect on the roots of the art we are students of. This is in contrast to sports like UFC, or modern self defense styles which may or may not borrow from the traditional martial arts. In the self-defense sports, the goal is to enable the trainee to defend himself in certain situations. My personal motivation to training martial arts has always been to seek control over mind and body, as well as staying in good shape. I was never under the illusion to defend with a single kick against a knife or a semi automatic. I have had the pleasure of training kids, and lower ranks in those days and it was one of the most rewarding activities I have ever experienced. After all, in nature, we are bound to grow up, Learn from others, Apply the lessons learned, and then pass the information on to The next generation. Do as I do, not as I say has become one of my rules. In order to get there though I had to become the best I could be and I had to remain in that shape for as long as I wanted to teach. Leaders as well should always strive to follow learn from others, apply those lessons, and then pass them on to your team. For me, those days have long since passed and I know that the younger-me could pick me apart in an instance. However the ‘do’ ( the way ) has remained with me ever since. I am working hard, I am humble in working with and for my team. As a leader, I am forward looking and I have the back of every single individual in my team. I try to lead by example and teach and grow my team. 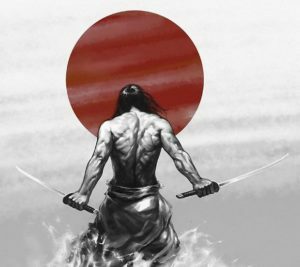 As a leader you should strive to be the Samurai and not the Ninja. Be committed to your team and your company, learn, read, study your whole life and most importantly practice what you preach. I found the most beautiful thing while going down memory lane this morning I stumbled over this video from way back when. Sometimes it is good to sit back and reflect on the wonders we have in our lives today which we no longer perceive as such. We are surrounded by wonderful things which we notice the same way we notice a ghost before our eyes. We are sleep-walking by them refusing to give our brain the chance truly understand. From the omnipresent cellphone to the internet of things. The space projects which received a recent boost through Elon Musk to the vast data centers set up by Amazon and Google. These are all man made marvels. However I challenge you to think back to the last time you marveled at a butterfly or the beautiful lines in a tree from the ground to the sky. Think back at the progress human kind has made in your lifetime and then think forward to the change our kids may see. In the sixties it was all but certain that by the year 2000 we will be traveling to the moon on a regular basis. While this has not panned-out we have accelerated in other areas. We have overcome the cold war, rivers were cleaned up and nature was preserved. We are working towards high-tech, higher-tech, and cyber-tech. 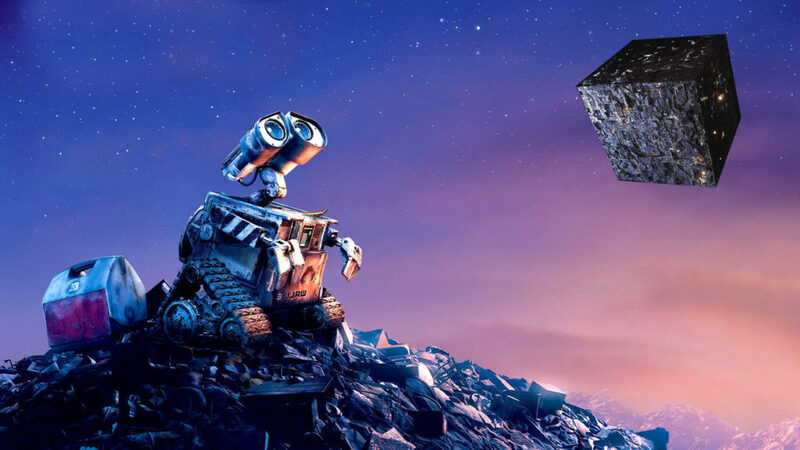 When the borg meet Wall-E, HALL 9000 will be forgotten. So wake up and look around. What are the wonders that you see ? Certain words in leadership indicate certain treats in a person, here are some to look for. So I was watching a couple of youtube videos from James Randi and I was starting to wonder about Believe Systems and language. If there is one word I despise, it has to be the word “deserve“. Anytime you hear this word you should immediately raise an alarm bell. The other person is either trying to sell you an over priced item or is about to lie to you. “You deserve a bigger kitchen”, “You deserve this vacation”, “You deserve that fast car” … “You deserve it”. Well, really ? Interestingly why does my employer not think so ? Or if you believe I deserve it why don’t you go an talk with my boss ? That leads me right into the next word I don’t particular like : “believe“. Now this is an interesting one. When Einstein’s thought experiments overturned centuries of accepted physics, he changed the believe system of scientists single handedly ( or mindedly ). So from this analogy I conclude that a believe is a mental representation of reality based on insufficient information to support knowledge. If you know something I can go and ask for proof, but if you believe something to be true I am stopped right there before the entrance of reason. So here is the call to every one to stand up and know what you’re saying more often. In general I believe that mankind would not be able to survive without a believe system. As an example: “There is movement in the bushes. I believe there is danger close, so I better run”. This believe may have saved some unwitting predecessors of yours and thus made it possible for you to read these lines today. So the believe to know something based on insufficient information in itself is a useful tool. Whats wrong then ? We live in a highly opinionated world and there are opinions flying around in every sentence spoken. This is directly reflected in our language and in our believe system and it is, after all what makes us individuals, and in greater terms human. The trouble is that some believe without asking the tough questions they ought to. Once a certain believe has been planted in our minds it is hard to regain objectivity and look at things the way they actually are. So look at it as a magic trick … or how I would see it as mind control, and look out for these two words deserve, and believe. An opinion then is created and expressed directly from our believe system(s) and thus only as valid as our mental capability to reflect reality. Ps. At least when expressing an opinion the other side will usually let you know : “in my opinion …” and what follows then is usually less than accurate otherwise the sentence would contain the word know. YouTube can quite be a distraction from the daily chores you have to get done. However if you are down and you are looking for some inspiring videos it is good to spend a few minutes finding motivation. Now the other video I found very good is the following one. I have ideas all the time. I am also amazed as to why I don’t have seen certain things yet. Sometimes I just feel like doing it myself. Why ? Becaus I KNOW I can do it better. I KNOW what I know to be true and I KNOW if I will just invest the time and energy into it I will have made a difference. Sometimes finding the required motivation is a mouse click away. Other Times it requires some soul searching. Whichever way you go it is important to keep your goals and dreams aligned. 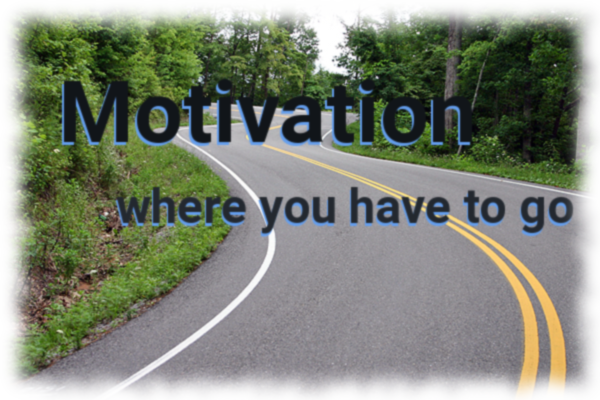 Finding motivation will then be a breeze. Setting and achieving your personal and professional goals is as important as breathing and sleeping. Without a clear goal you will be living like a leaf falling from a tree, flowing wherever the wind carries you. 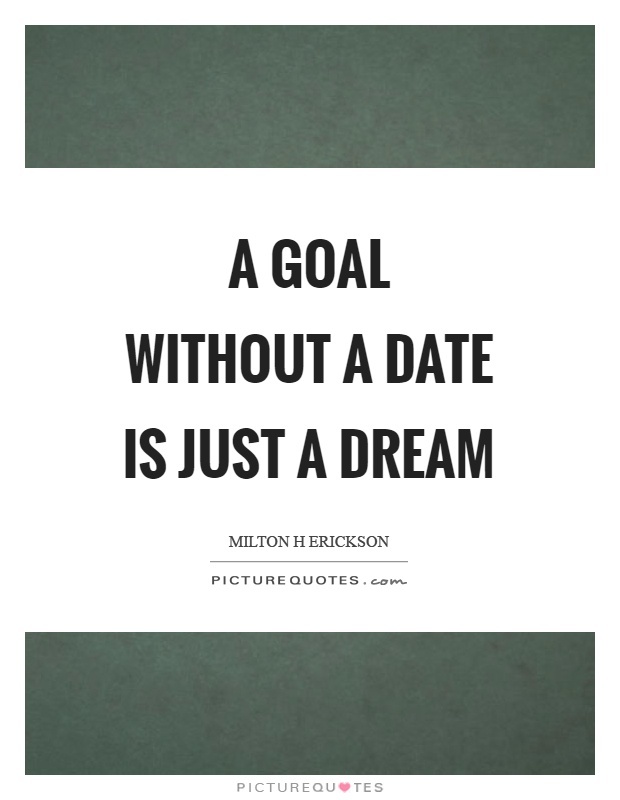 One of the lessons I have learned over the years is that you can set goals and you will miss goals. What is important is to be relentless and never give up. Don’t let the naysayers convince you that you should stop trying. Does communication improve technology ? 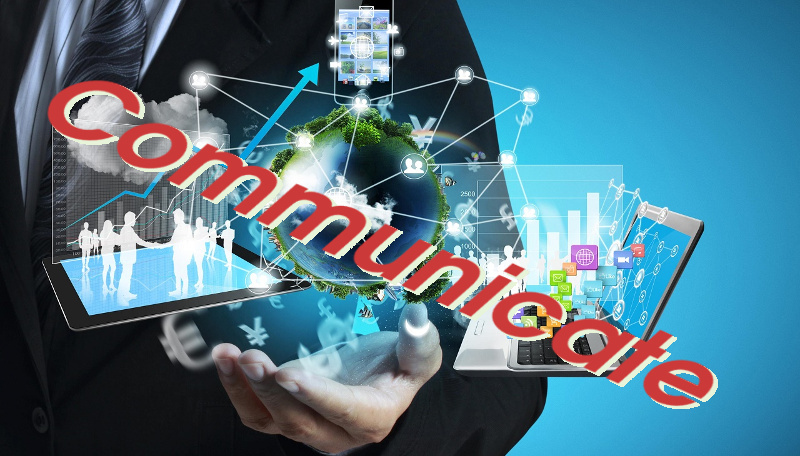 Does communication improve technology or does technology improve communication ? That’s a question I have been tossing in my mind for some time now. I came to the conclusion now that it is bi-directional, and that better communication will foster better technology which in turn will be the breeding ground for better communication. Think about it this way, why do business people travel that much ? Do they like to fly, or leave their family for weeks at a time ? No, the reason is that it is extremely difficult to communicate complex matters remotely. Back in 1995 / 1996 when I was briefly working at the ZGDV ( Frauenhofer Institute ) in Mannheim I saw virtual cubed environments which tried to achieve virtual immersion. The goal back then seemed so easy, and the outcome so close. What happened ? Where are the Holo-decks of the 21’th century ? With the increase of computing power and the availability of technology and the Internet ( the Evernet really ) I am still stuck at looking at a 2D screen to interact with the computer, and with other people. Even though I now enjoy a 30 inch screen with an almost optimal resolution of 2560×1600. We need better technology thus we need better communication. To get better communication I think we need better tools. One of the main sticking point in recent computer science is the advance of multi core, multi cpu computers. But beyond that we now have heterogeneous computing environments. Ever wondered how much computing power is in your phone ? Why not leverage the CPU in your tablet together with the horsepower of your Laptop ? The reason is that the available tools lack. Those tools have been designed decades ago and have not evolved at the speed required. If the programming language would adapt as fast as the web technology we would by now now look at Laptops with 2048 cores and more. There are a multitude of attempts to invent better tools but their adoption rate is negligible. One prime example of a failed ‘better tool’ is Java. I liken it to the move from CVS to SVN. It does maintain most of the existing features and adds some bits and pieces to it but if you step back and take a look at it from a distance Java and C++ are really not that different. So why bother ? Others attempt to modify existing languages. For me that is a much better way to go. After all, if it is done properly you can retain the billions of lines of code already written and you add functionality. Or you give a simple means of conversion. I firmly believe we should look into adding communication into the core language itself. Design the runtime environment such that it can handle high latency or unreliable links and nodes. Maybe add some grains of auto adjustments ( Aka self healing or Learning ) to it and really re-think the paradigm of software developing, away from functional or OO to a distributed or universal ( I don’t like to use the buzz-word cloud ) based paradigm. I am an optimist, and I see that we will eventually get there. I will try to play my part in it and while I may never get up to the ranks of true visionaries like Vint Cerf or Bjarn Stroustrup, I will never be content with the status-quo and always do what every geek should be doing. Follow the pursuit of innovation. This is the first of hopefully many posts in my blog. I have started this blog to pass on the knowledge I have gathered while working the past 30 years as a software developer, manager, leader, and student of coding and technology.